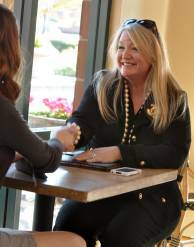 Debra Hiebert has been the founder, creative director and lead event designer of Tres Fabu Event Planning and Design for the past 13 years. She said she takes pride in planning unique events. One of her weddings included a Cinderella carriage complete with footmen and horses and another was televised on the show, “Platinum Weddings.” Her events have been featured in numerous publications and on KCRA Channel 3 and Fox 40. I was throwing a family member a birthday party in May of 1998 and booked 12 events from June through December of 1998 from that sole birthday event. It was an amazing ride that continues today. What are some of the most interesting things that have happened to you? 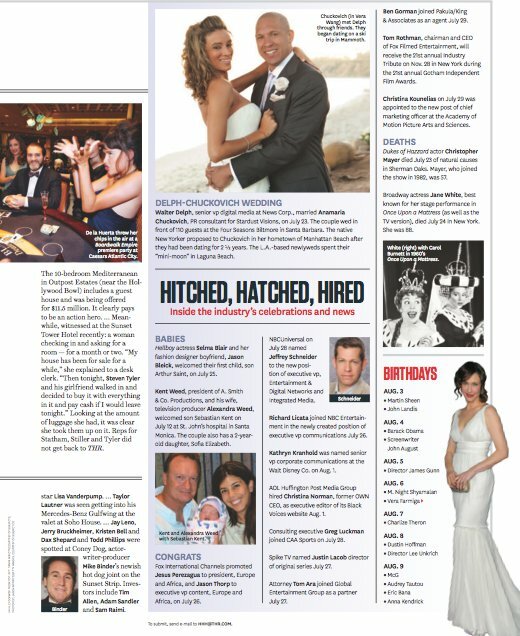 The highlight for me this year was actually having Hollywood celebrities, Jessica Alba and her husband Cash Warren, in attendance at one of my clients’ weddings at The Biltmore Santa Barbara. I also met Cal Ripken on a flight to Colorado. He kept telling me he was a pro-baseball player. Who names their son Cal for heaven’s sake? I never even heard of the Orioles. It sounded like a box of morning boxed cereal to me. When our plane landed a couple of small boys came running up to him asking for his autograph. It was hilarious. I meet Kenny Loggins with veggie pizza in my mouth. That was nice. My favorite though was having a conversation with Clint Eastwood about his old movie “Paint Your Wagon,” again another hilarious moment in my life. It was me and Andrew McCarthy outside a cafe in Southern California. Wherever I go, I am surrounded by humorous doings and I find humor in all situations in my life, positive or negative. That’s just how I roll. I simply roll in humor. One of my favorite reads a few decades back was Pillars of the Earth. It’s similar to the details you find in a vintage Dickens novel — chapters of details and layers in the novels just in building the scene, place, storyline and characters. I adore anything Austen for it resonates with the walking romantic that I am. Robert Ludlum wrote the fabulous thrilling page-turner. My heart paces each time I pick up one of his suspense novels. I had volunteered for several years in Pebble Beach/Monterey for the Make-A-Wish Foundation. I now pretty much have my sights set on anything that involves the neglect and abuse of animals. In particular, dogs & horses. Anything that keeps me outdoors and away from technology: A game of tennis, walking, hiking the wonderland of Yosemite and Tahoe and any beach front from the Pebble Beach Peninsula down to Southern California and beyond the border. I’m married the most amazing man in the Western Hemisphere — in the globe for that matter. I swear (but won’t) he should wear a cape half the time. He is just that good of a man. My own super hero. He saved me as well as our three precious pups: black lab, beagle and chihuahua. They have all saved me in their own way. They have shown me unconditional love. All humans can take a few cues from doggies any day of the week. The legacy of being involved in these young couples love story and assisting them in building the foundation their marriage is built upon through my work in weddings. I always like to remind them, that in the end when this wedding day is done and over, it is truly about the ceremony everyone is uniting together around them and not the most perfect color of petal pink. It’s about what they say, do, sing, and recite as we are gathered amongst them this day as their witnesses as they pledge themselves to each other, for forever through all the peaks and valleys this life offers each of us. Again, I am such a hopeless romantic. In 13 years, I only know of three of my couples divorcing. I was heart-broken for each couple when news reached me. Anything that involves animals and small children. Both are defenseless without our help and love. It’s that simple. What are some things about you people might be surprised to learn? I completely miss skateboarding, horseback riding and playing massive amounts of softball. Only to be 12 again. I also love Bach to Muse, bluegrass to rock, and R&B to jazz to mad metal. Classical and vintage jazz are my favorites. I am currently going through a Schubert and DeBussy faze. I adore all music for I associate life with it. Music assisted me in the loss of my little brother almost 21 years ago and recently my beloved Daddy and my best friend’s mother, whom was like my own mom since I was 14. Music is wondrous. It helps make you a survivor in this world. Music does assist in healing ones soul. Music brings joy. Again, I adore music. Seriously, you should see my iTunes listing. It’s slightly insane. Happy New Year from Très Fabu Events! 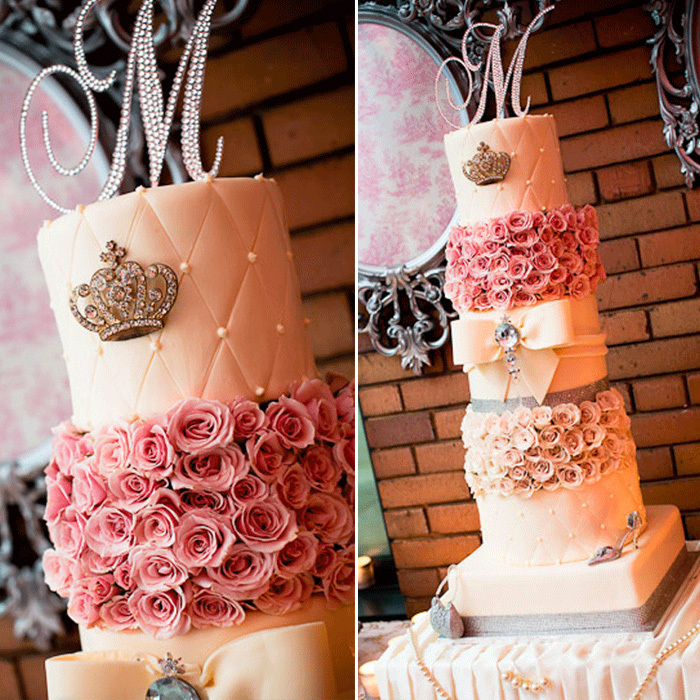 At Très Fabu Event Planning and Design, every new year marks the beginning of new celebrations! 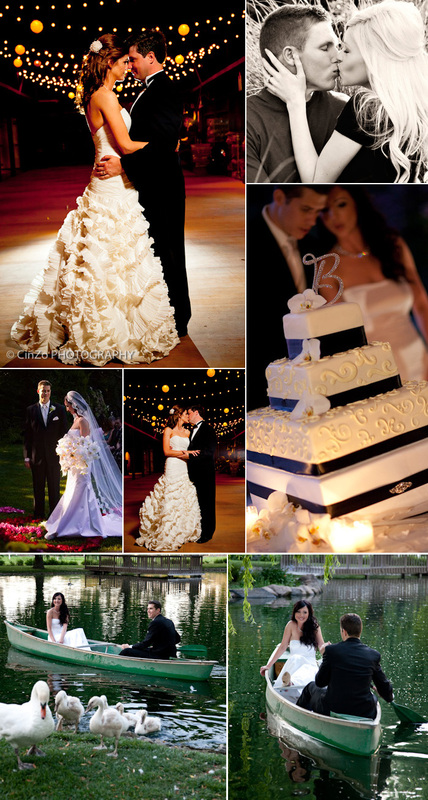 Many couples are looking ahead towards their 2012 wedding with excitement and joy. 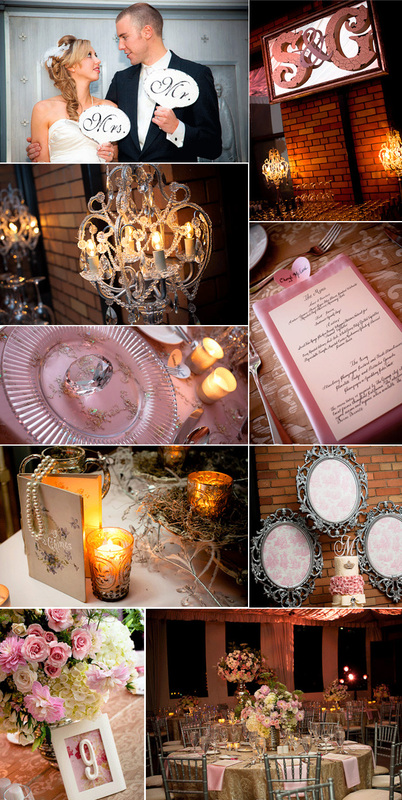 With this comes a time for planning…a time for creating a most magical day. Debra Hiebèrt, owner of Très Fabu, has been designing unique and fabulous events for the past 13 years. From the elegant and intimate gatherings to the outside-the-box creations, Debra’s artistic team executes experiences that are unlike any other. Très Fabu Events was formally invited to be a partner on The Ritz-Carlton’s list of preferred professional event vendors for its Half Moon Bay Resort location! 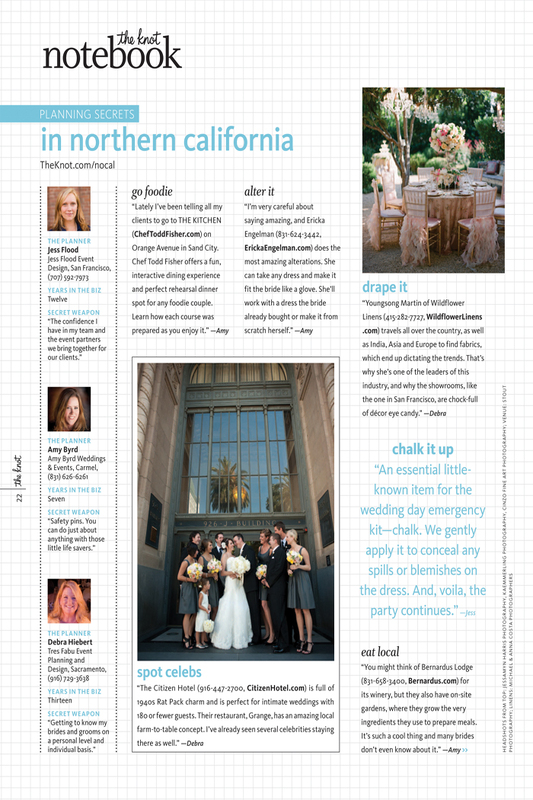 TheKnot.com awards Très Fabu Events “Best of Weddings 2011”! 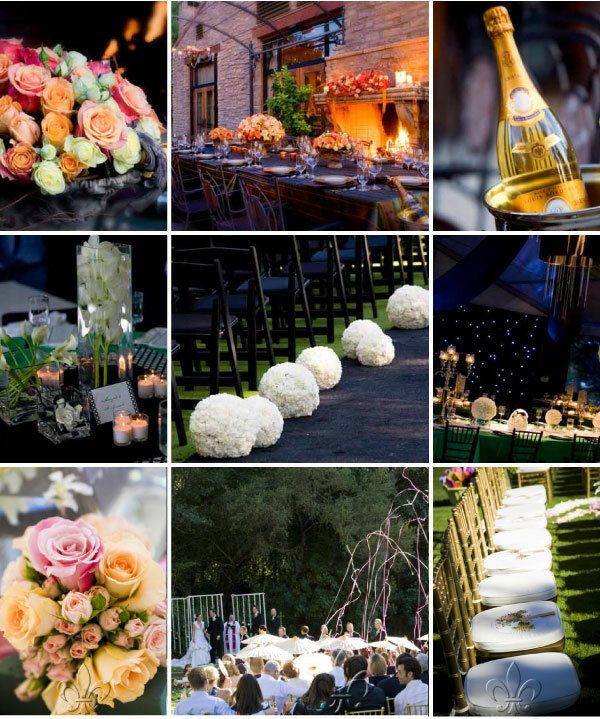 Debra and the Très Fabu Events Team executed a mega wedding at Serrano Country Club last April — wedding video viewed by more than 11,200 people worldwide since it posted 3 months ago! Here’s to 2012 ~ CHEERS! You are Invited to Serrano Country Club’s Bridal Open House!!! 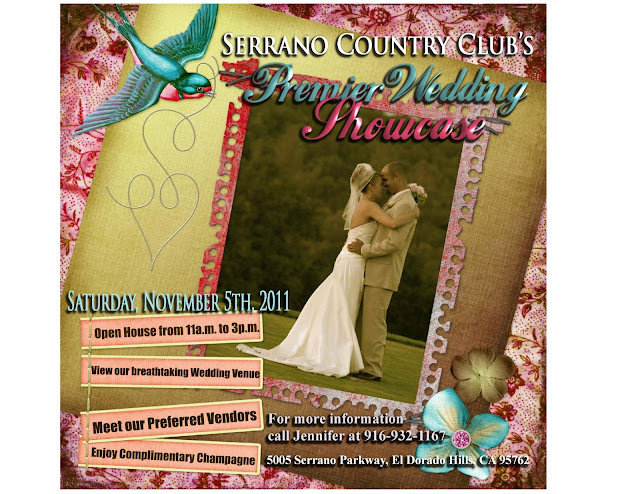 Come join Serrano Country Club’s Bridal Open House to view their property for your potential wedding or special event! 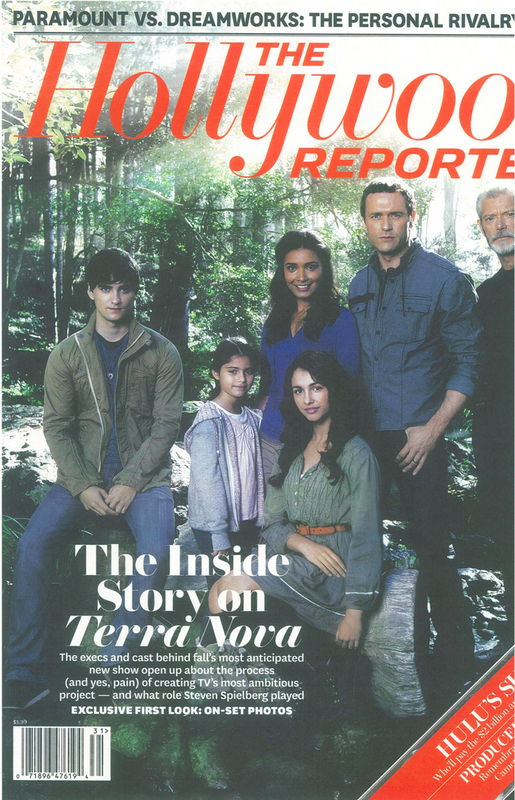 This Saturday, November 5th, 2011. 11:00 a.m. ~ 3:00 p.m.
Sip refreshing mimosas as you mingle with professional event vendors and peruse the fabulous & lush grounds of Serrano Country Club views, vistas & venue vantage points! 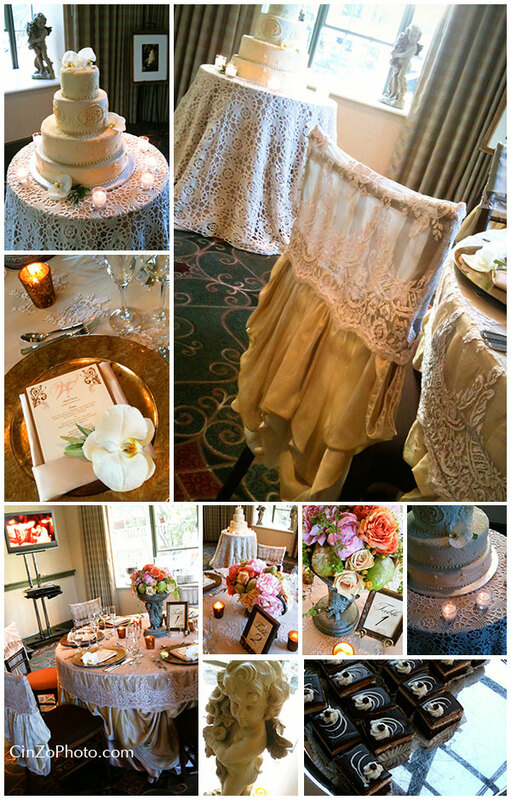 A Quick Thanks to Wildflower Linen! 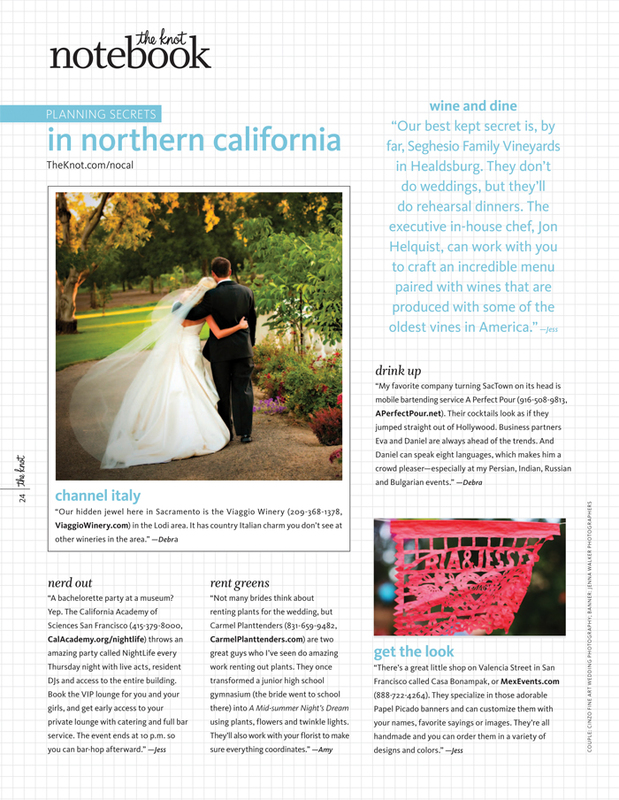 Wildflower Linen recently expressed its gratitude to Très Fabu Event Planning and Design on http://wildflowerlinens.com/blog/drape-it-the-knot-magazine-northern-california for being included in The Knot’s Northern California issue. 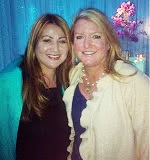 Debra and her staff at Très Fabu Event Planning and Design are so proud to be working with Wildflower Linen to create one-of-a-kind affairs. The company was founded in 2001 and has been involved in many of Très Fabu’s weddings/receptions and special events and continues to amaze clients with exceptional fabulous designs. A little bit more about Wildflower Linen…. Founder Youngsong Martin, formerly a nationally known fashion designer and marketer of high-style women’s apparel, launched Wildflower Linen in southern California. Her full-service rental company has since redefined the special-event linen field in terms of style, glamour and customer care while becoming a prestigious provider to clients nationwide and abroad—for functions of all sizes and budgets. Wildflower Linen creations have been featured at the post-Oscars Governor’s Ball and Vanity Fair after-parties, aboard charter yachts, in noted resorts and country clubs, at several Presidential library events, and also at the gala party for a Dream Works premiere at the Venice Film Festival in Italy. This Just In! 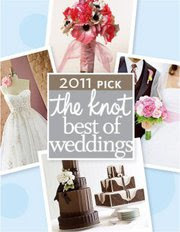 The Knot.com Awards Très Fabu Events “Best of Weddings 2011”! The votes are in…thousands of brides across the country reviewed their favorite wedding vendors on the knot.com and Très Fabu Event Planning and Design made it among the highest! ebèrt, owner of Très Fabu Event Planning and Design, for her planning secrets for weddings and special events in northern California. The Citizen Hotel, Viaggio Winery, Wildflower Linens, and A Perfect Pour mobile bartending service, were just a few of her ultimate favs. And her secret weapon? 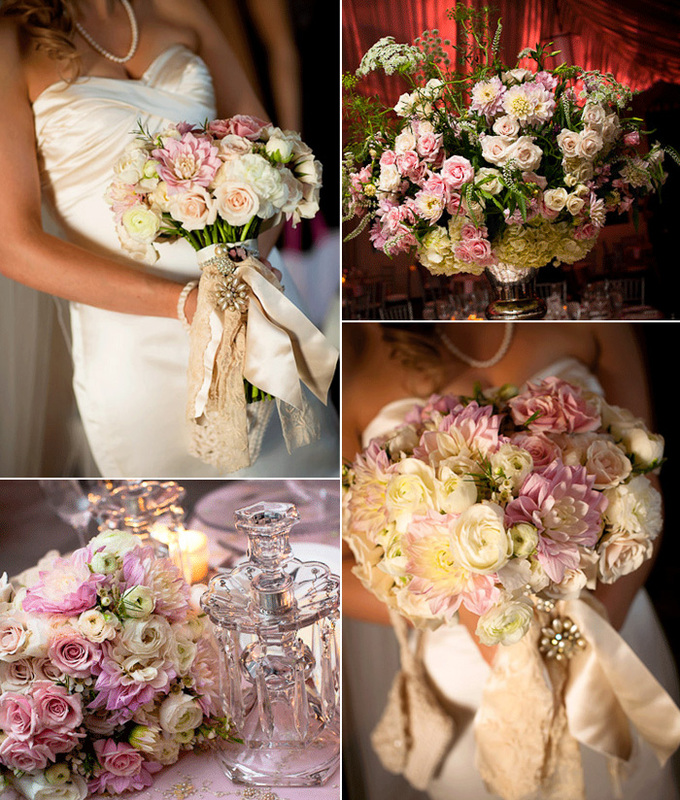 Knowing brides and grooms on a personal level and individual basis. Check out The Knot ~ Planner’s Notebook for further information! 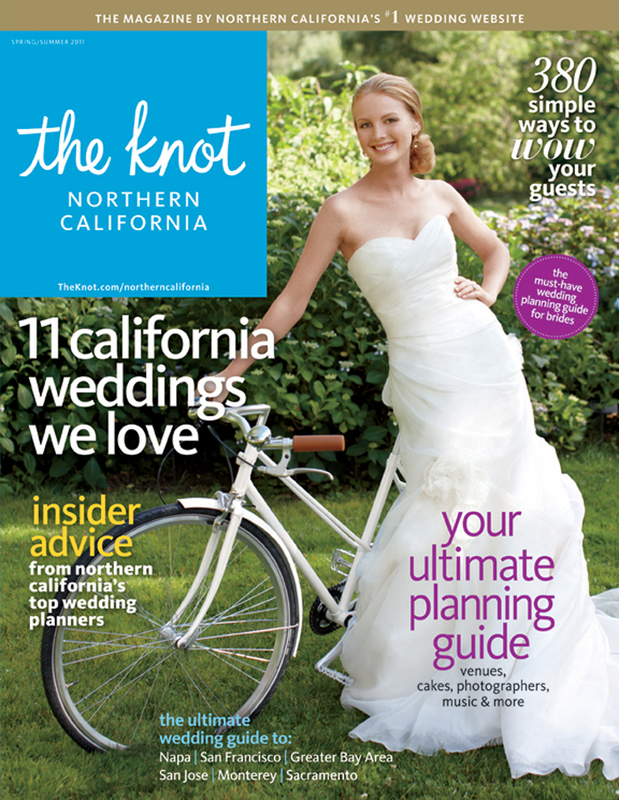 The Knot ~ Northern California edition of Spring/Summer 2011 is available on newstands now!